NHL® 18 has all-new offensive deke moves that deliver the creative freedom and control seen in today's NHL, including one-handed moves, between-the-legs dekes, back-handed toe-drags, heel drags, cheeky puck flips and more. New deke branching gives you control to choose how you string deke combinations together into fluid dangles based on moment-to-moment decisions and reaction time. The young stars in the NHL are constantly delivering jaw-dropping moments on a nightly basis, and you can create your own in NHL® 18. Check out our deep dive below on how the creative control seen in today’s NHL comes alive in NHL® 18! Deke branching gives you control to choose how you string deke combinations together into fluid dangles based on moment-to-moment decisions and reaction time. In NHL® 18, you can perform different moves from each state you are in before deking. This allows you to react to the defender’s position and use a Creative Attack Deke to get around them. For example, when you’re in the toe drag state you can choose to go off your near skate, put the puck between your legs, or flip back to the forehand side to dodge defenders. 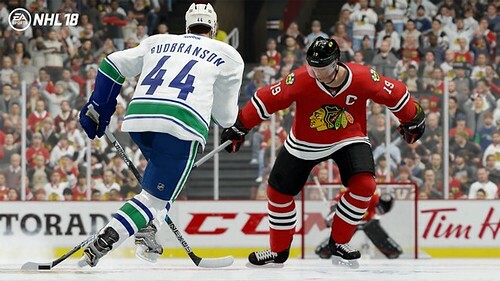 Additionally, the new deke branching allows you more control with moves like putting the puck off your skates. You can now target what direction you want to go with the puck using the left stick in your deke, allowing you more creative control over your moves in the game. Over the past few years, players have been pulling off highlight reel plays by passing or shooting the puck between their legs. In NHL® 18, you will be able to pull off the exact same moves that you see NHL stars leveraging to create different passing and shooting lanes. The Backhand Heel Drag is a powerful move when used properly. You can use it to outwait a goalie or defender to get around them, take a wrist shot or pulling off a cheeky flip to beat the goalie against the momentum of the play. NHL players are always finding a way to pull off a creative finish to their dekes, and that includes the classic one-handed tuck. 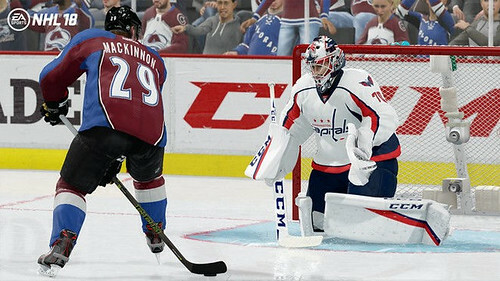 In NHL® 18, you can do a one-handed deke to cut around a defender or go for a stylish one-handed tuck deke that goes against your momentum like you see happen on breakaways and in shootouts at the NHL level. Timing is key with these moves as the speed and direction of which you are skating will make or break how successful the deke is. Creative Attack Dekes in NHL® 18 range in difficulty. Some dekes, like toe drags and windmill dekes, are easier to pull off. Others, like the old favorite Tap-Back Deke, are harder to pull off but come with a greater reward. Knowing when to pull off a deke is just as important as being able to pull the move off. When you are deking, you are more vulnerable to body checks and stick checks. If you make a mistake, your opponent can strike on a counter-attack. Additionally, player attributes also have an impact on their ability to pull off the new creative attack dekes. They could lose the puck outright, flub the deke mid move or have their shots and passes impacted at a higher rate the lower their skill and the less control you have going into the move. It takes time, practice, and skill to pull of the correct moves. 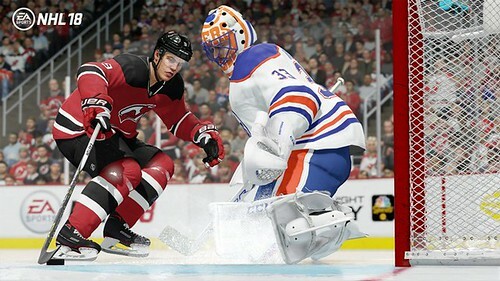 They’re more effective with the more ice you have and will let the player’s skill shine in authentic 3-on-3 EASHL.